Forget the Gumbuya Park of your distant childhood. The multimillion dollar upgrade is complete and this entire WORLD is THE place to be for Melbourne families! Think of this place as a zoo, a theme park and a water wonderland all in one. 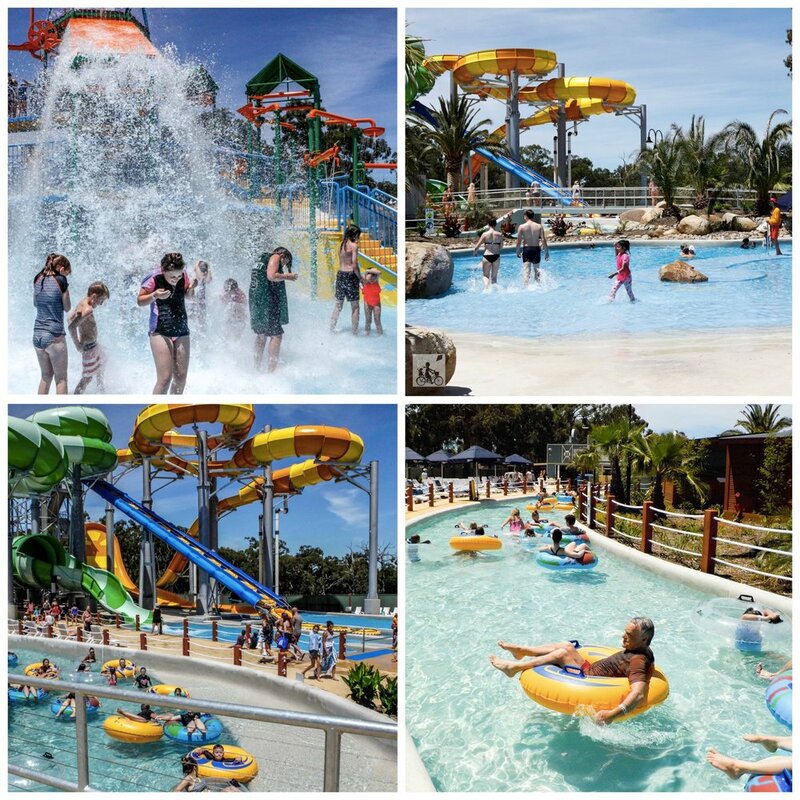 Gumbuya is well worth tackling in the warmer months to take full advantage of Oasis Springs - the water park with two GIANT tube slides, water splash park, gentle beach lagoons and Mamma's absolute favourite, the lazy river. Grab a tube and bob along the shallow water as the tide carries you round and round, watching out for some little waves along the way. Once you are completely waterlogged or Mamma needs to tap out and watch from the sidelines, there are plenty of deck chars, shady spaces and you can even hire your own cabana. The park also features plenty of rides that are all included in your entry (except the surfs up wave machine). From the cruisey car rides, to dodgems, small roller coasters and a pirate ship, there is plenty to keep your crew entertained. Do be mindful of the height restrictions - and rides range from minimums of 100cms to 120cms (click here for specifics). The park remains home to plenty of feathers, furs and scales that can be found along the Wildlife Trail. 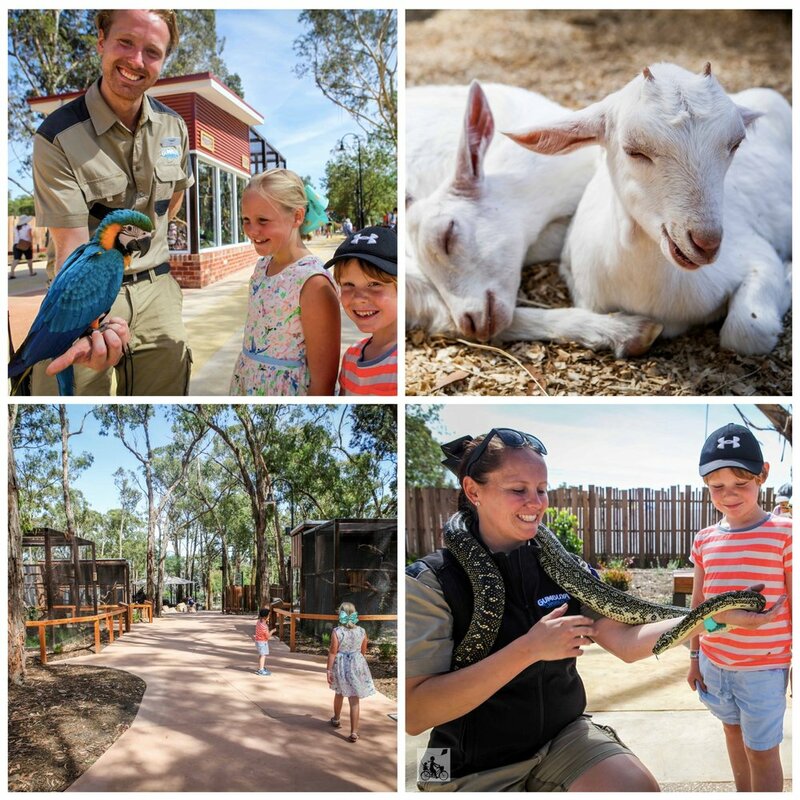 You will spot all the Aussie friends who also have plenty of room to move in the large enclosures as well as a petting farm to get up close and personal. Get there early - gates open at 10am and you can pre-purchase your tickets online. Start with the animals while they are more active in the cooler end of the day, work through the rides, and cap off the day in the water! You can't take food in as the animals will try and eat it, but pack plenty of bottled water. There are two cafes on site. Lockers are available for hire for all the gear you might need. You can spend an ENTIRE day here so be prepared! Multi-season passes are now available. Pass outs are available if you need to grab anything from the car. Mamma's special mention: More areas are set to open this year including a dinosaur exhibit, an indigenous cultural centre and a wool shed. Watch this space for updates!